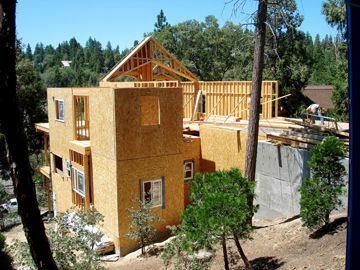 The Association of Building Contractors of the San Bernardino Mountain’s (ABC) is a group of industry professionals dedicated to providing outstanding craftsmanship to the mountain communities. In addition to being licensed by the State of California, all ABC members subscribe to our Code of Ethics. Each member has pledged to uphold the highest standards of honesty, integrity and responsibility in the conduct of their business. CHOOSING A CONTRACTOR IS AS SIMPLE AS ABC! All ABC members are licensed and remain in good standing with the California Contractor’s State Licensing Board. The Licensing Board helps insure that all licensed contractors possess the expertise and experience necessary to do the job right, the first time. Licensed contractors must qualify under state regulations that protect consumers against fly-by-night operators who leave consumers holding the bag when something goes wrong. ABC members are committed to protecting your investment by delivering the highest quality work and insuring you against any unforeseen difficulties that may arise. It is tempting to trust whoever comes along with the cheapest bid, especially for smaller projects. But usually you get what you pay for, and a cheaper, unlicensed contractor may not be adequately insured or bonded. That could cost you a small fortune if anything goes wrong. If the work you are considering is valued at $500.00 or more, a valid California Contractors License is required for the license category in which the contractor is to work. To comply with all laws and regulations of the industry in which the member is engaged. To state in simple language and in clear terms all essentials of contracts and transactions. To be ethical in all practices and in accordance with sound business principles. To use the services of and promote the ethical business practices of fellow members whenever possible. To cooperate with building officials to create a safe product for the betterment of the industry and the community. To minimize any negative impact of our construction projects on the environment and/or the surrounding property owners. To strive to maintain a safe work place, not only for our workmen, but for the community as well. To promptly acknowledge and act on all customer complaints, and, in situations where complaints appear unreasonable and persistent, to encourage the customer to initiate an approved third party dispute settlement mechanism.